A total of 12 distinguished persons and an organization have received ‘Swadhinata Purashkar-2019’ (Independence Award) in recognition of their glorious and outstanding contribution to their respective fields. Prime Minister Sheikh Hasina handed over the Independence Award, the highest civilian honour of the country, to them at a function at Bangabandhu International Conference Centre this morning. Earlier on March 10, the government declared the names of 12 noted persons and an organisation for this year’s award. 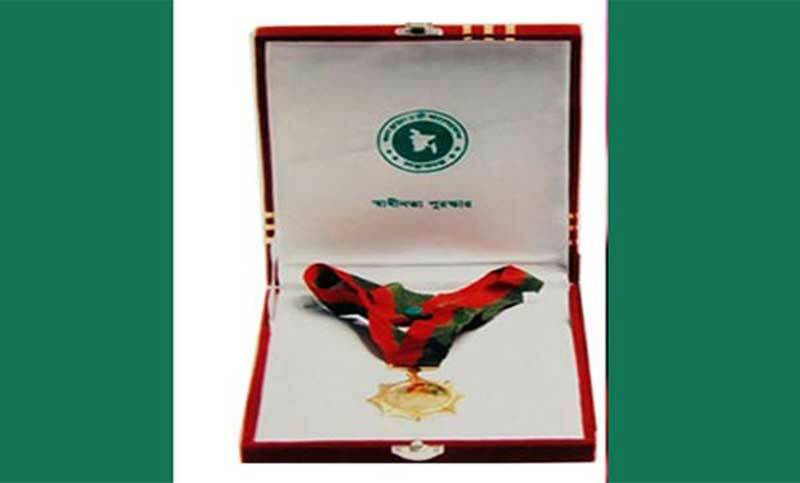 Those received the award are: martyred intellectual Mufazzal Haider Chowdhury (posthumous), martyred ATM Zafar Alam (posthumous), AKM Mozammel Haque, Engineer Mosharraf Hossain, Dr Kazi Misbahun Nahar, Abdul Khalek (posthumous) and Professor Mohammad Khaled (posthumous) in independence and Liberation War, Brigadier General Dr Nurun Nahar Fatema Begum in medical science, Dr Qazi Kholiquzzaman Ahmad in social service, Murtaza Bashir in culture, Hasan Azizul Haque in literature, Professor Dr Hasina Khan in research and training and Bangladesh Institute of Nuclear Agriculture (BINA) in science and technology. Bangladesh has been giving the award every year ahead of Independence Day on Mar 26 since 1977.